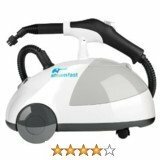 Best pressure washer reviews found in this artcle are of those pressure washers that are considered value for money. Not all pressure washers are highly regarded by buyers and ultimately onwers. In fact we find that compared to steam cleaners, pressure washers enjoy relatively low positive ratings across models. Our best washers here are those that perfom the best in their category for example gas powered pressure washers, industrial pressure washers, home washers and electric pressure washers. We consider their power output in psi and their flow rate measured in GPM and their ease of use before finally taking into account their price. The following are selected pressure washers that we consider best pressure washers on the market currently which you might also need to consider as you set out on buying a pressure washer. This is a compact and sturdy pressure washer and is mostly made out of plastic and a few parts in aluminium. It does your typical light to medium jobs. It may however struggle with some certain jobs as reported by users such as wood cleaning, cleaning the fence and removing algae from certain surfaces. At 30 foot cord power this electric pressure washer is able to reach far without need to replug it. It also has a reasonably long hose which has however been criticised for being rather tough and difficult to put around the reel. As a result some users prefer to roll it and leave it on top of the washer for storage. It has an adjustable jet nozzle and an automatic pressure shut-off function for safety. Key things that gives this washer its best washer status is the included high perfomance pump. By design the pump has 3 stainless steel plungers which have been proven to be the secret behind the great perfomance as well as lasting longer than plastics parts used in many other units from competitors. 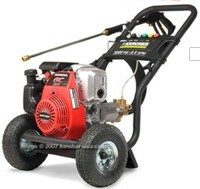 This model from Briggs and Stratton is a cold water electric pressure washer that has output power of 1800psi. It has a little less power than the AR383 reviewed above. It has a GPM flow rate of 1.6. One remarkable aspect about this washer which we consider amongst best pressure washer models is its axial cam 1.6GPM pump which is usually used by Briggs in its gas powered models. It has also been highly praised for its onboard storage slots that can take the wand and the nozzles attachments that many washer users complain they can easily get lost, misplaced or damaged if not stored properly. This washer is suitable for your wide range of home cleaning jobs. If you wish to use soap or detergents in your cleaning projects the machine has a handy adjustable strenght soap system. A particular complaint that has been raised aganist this model is its annoying trigger. It takes a bit of getting used to in order to effenciently operate the trigger which is necessary in realeasing cold water pressure. Particular complaints have been of the trigger making an annoying noise each time its released. 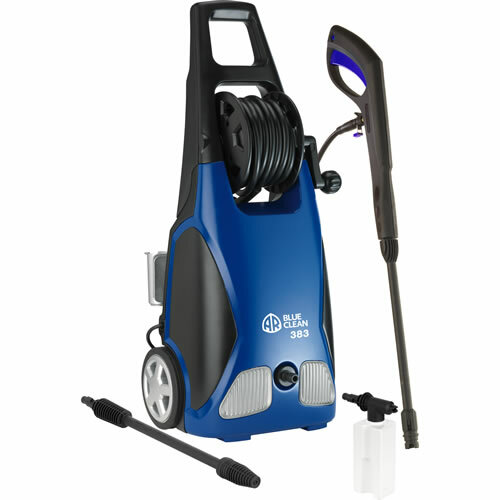 Considering these weaknesses we still recommend this pressure washer which is priced at $250.00 online as a great buy. We are confident to include this washer in our best pressure washer category. Of particular note is its gas powered Honda engine. Research shows that Honda engines are amongst the best in the industry. They not only last longer but are also easier to start usually starting at the first or at worst second pull. There have been many feedback reports form users of the engine starting on the first pull. Some engines require three or even four pulls to start. This is a extremely annoying and a sign of poor construction and trouble ahead. The Honda engine is also quiter and more powerful. This Karcher G30500H-Bonus cold water pressure washer runs on a Honda GC engine. It runs on a Karcher Axial Cam pump and has a chemical, soap or detergent siphon tube. It is your medium to heavy duty washer which can do the toughest jobs on the site and around the home. The quiter engine is also a plus should you be working around the home. The machine is praised for its heavy duty hose and an additional spray tip instead of the normal accompanying 4. The fifth spray tip or nozzle is the soap tip used when applying your detergents. 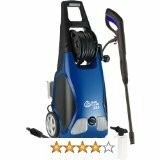 This is no nicey nicey looking pressure washer compared to the home washers reviewed above. It has a rugged exposed design which speaks of its heavy duty status. To add more effectiveness to your cleaning efforts you can even purchase a turbo nozzle to attach to the wand and clean the toughest stains and dirt. Rest assured this is a quick and easy assembly machinet. It will take little time from the box to get it going , of course, after adding some gas. Expect to part with about $500,00 or less for this machine which is guranteed to give you long term use as a result of its durability. Enjoy the bonus detergent packs that comes with this purchase. 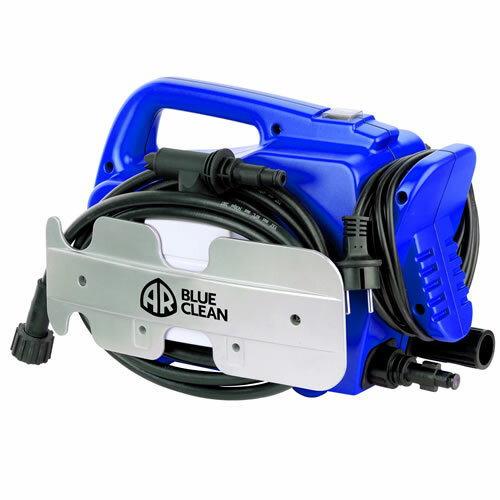 AR Blue Clean 1500 PSI AR118 - This is a highly positively rated home electric pressure washer which has output power of 1500psi at 1.5GPM. It works on just about any home cleaning project. Some users have complained however that this pressure washer despite being highly rated failed to remove brake dust from the hubs in an effective manner. It has successfully and satisfactorily cleaned wooden fences, sidewalks, driveways and even decks. Make no mistake this is a lightweight and handheld pressure washer also favoured by seniors for good reason. It sells for just under $100.00 online. Campbell Hausfeld Prosumer 1850 psi Model CP5101 - This is a middle of the road model meeting your needs for a home type pressure washer and a professional washer. 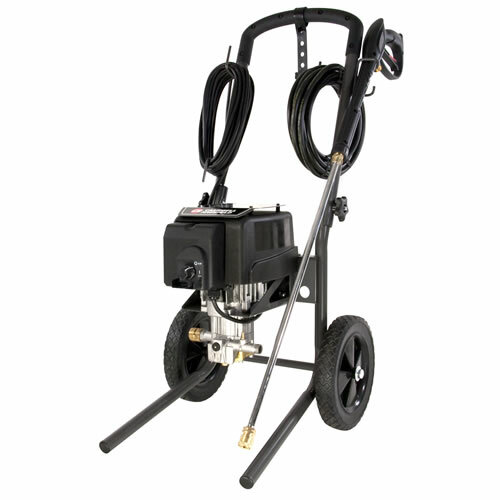 It is electric cold water pressure washer with a psi of 1850psi and flow output of 1.3GPM. 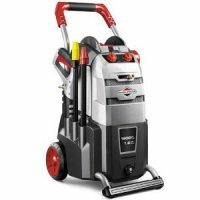 We list it hear amongst our best pressure washer models due to its very good reviews and popularity as an effective pressure washer for jobs that are somewhat demanding. 1850psi is adequate to do your average day to day cleaning in a professional setting such as a shop floor or wharehouse without releasing any fumes.